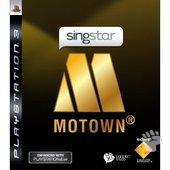 Cool probably best sums up SingStar Motown on the PS3! Even though the Singstar franchise has been quite static of late, the gameplay is almost perfect and in order to commemorate the 50TH ANNIVERSARY of this genre, Sony have released a very smooth karaoke experience with SingStar Motown. Although the naysayer may complain that the gameplay in Singstar is too “stale”, there is probably not much more you can really do with the franchise and of course the focus has always been on the music which once again transforms your PS3 into a fully interactive karaoke experience. With this in mind, Sony know that these gamers are generally targeted towards the casual gamer who probably don’t need to be confused. Featuring a variety of gameplay modes from solo, duet and battle, Singstar is oozing with Karaoke fun as gamers sing to their hearts content. Thankfully the words are displayed on the screen and there are even some cool music videos to help with the entire karaoke experience. When you sing in time with the words appearing on the screen, you are awarded points as to how well you matched these words but what really makes this game universally entertaining is that everyone can join in and play. 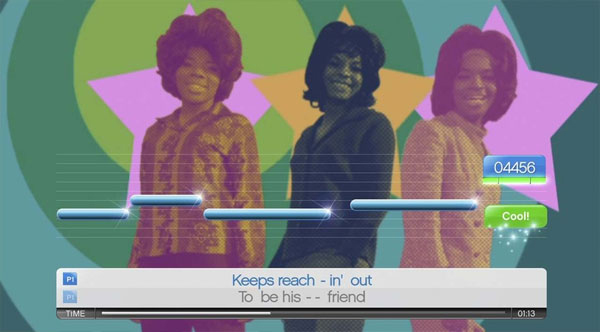 For lovers to party games, Motown also features the fun "pass the mic" option and of course allows for lead vocals and even backing. 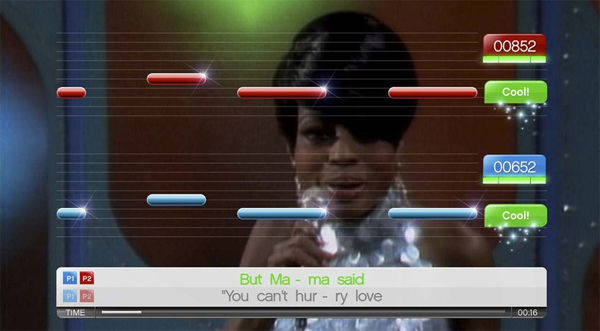 Graphically, the interface of SingStar has always been quite slick and add in some interesting "music videos" as backgrounds, with some great special effects and you have everything you need to get your karaoke party started. Needless to say, Sony has created a great tour down memory lane and unlike Sony's other latest SingStar title, Take That, Motown was not just a one country wonder. 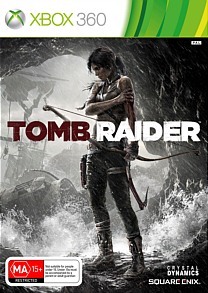 Of course, many of the videos have been spruced up for the game, considering the age such as the developers have also implemented photos into the videos which works. 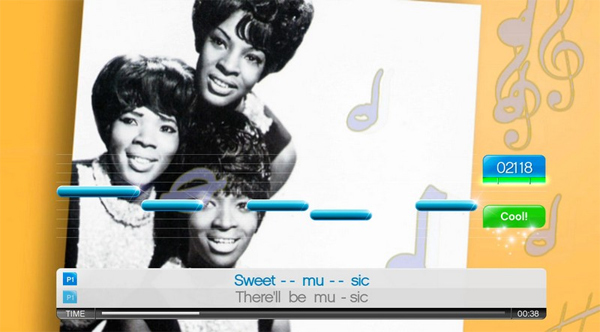 If you have the groove and you are a smooth cat, than you definitely need to check out SingStar Motown and indulge yourself in some great classic songs from an era that many have cloned but most have failed to master. Of course nothing much has changed since SingStar was released but once again, why fix something that works quite well and we all know that the SingStar franchise has been targeted for the casual market. The only downside is that you still cannot copy your songs to the PS3 hard drive for other SingStar games to access nor use more than two microphones like The Beatles: Rock but Sony know of these complaints, so let's wait and see but in the mean time, grab your mics and start singing you cool cats!